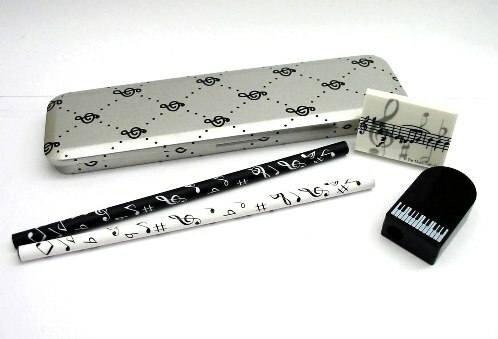 Perfect for pupils or teachers, for the home, office or school, this unique set of attractive 'musical' stationery would make the ideal gift for music lovers of all ages! 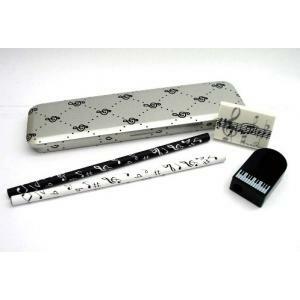 Included in the set are two pencils (one white, one black both incorporating a music notation design), a novel pencil sharpener with a keyboard theme, and an attractive 'music notes' eraser. The metal tin is silver in colour and incorporates a subtle treble clef design.